Scania and Doosan have deepened their long-standing cooperation with the signing of an agreement for Scania to supply the engines for two new generators. 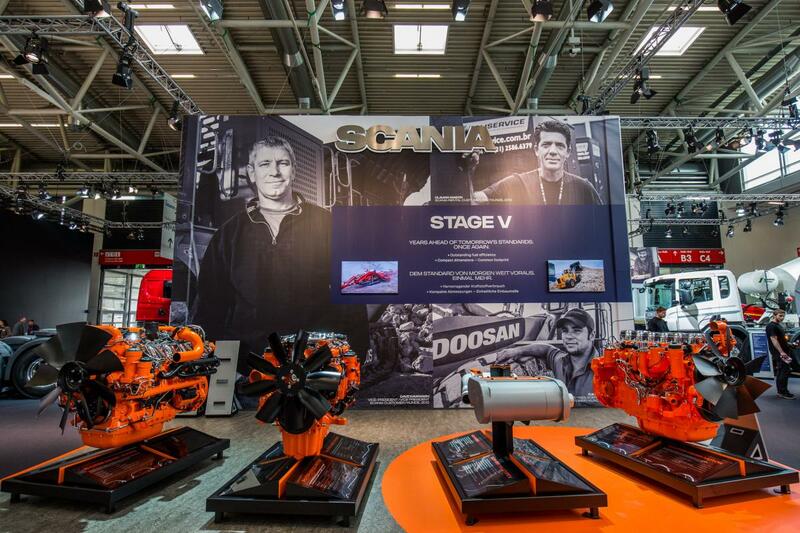 The new Scania-powered generators are produced by Doosan Portable Power and are being launched at the Bauma 2016 exhibition in Munich, 11–17 April. The new agreement is the latest collaboration between the two companies. Doosan Infracore, one of the world’s largest manufacturers of construction equipment, already uses Scania’s engines in its wide range of wheel loaders, excavators and articulated dump trucks. “We are delighted to announce that we are now extending our cooperation with Doosan into the power generation segment,” says Peter Sundell, Key Account Manager, Scania Engines. “Choosing Scania’s engines for these new generators is a logical step in our already existing and fruitful collaboration with the company and aligns with the strategy of the Doosan group. We have tested Scania’s engines in our products and they meet up to our expectations when it comes to reliability, outstanding performance and high fuel efficiency. This way, we continue to work together with Scania to create value for our customers,” he says. Doosan Portable Power’s new generators, G400 and G500, are both fitted with robust and reliable Scania engines. The G400 is fitted with a Scania DC13, with 400 kVA prime power, while the G500 is fitted with a Scania DC16 with 500 kVA prime power. The G500 will be on display during Bauma 2016, at Doosan Portable Power’s stand FM.612/3.